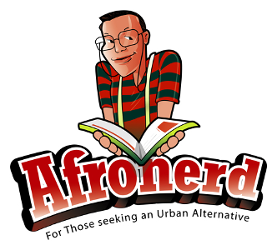 NEW AFRONERD RADIO SHOW....AIRS THIS WED @7PM! TOPICS- BLERD FUTURE; MADAME CJ WALKER @NETFLIX - Afronerd: The Blerd Revolution Has Begun! Those infamous time constraints are upon us, folks! Simply put....listen to the latest Afronerd Radio Mid Week in Review (MWIR) podcast-airing this Wednesday like clockwork at 7pm eastern. The team will bring their unique brand of analyses in discussing the following issues: iconic California politician, Ron Dellums passes at the age of 82 from prostate cancer; the crew discusses what the future is for the Blerd renaissance and how can we ensure that Blerd culture becomes an embedded (and expanded) phenomena; Oscar winning actress Octavia Spencer, is spearheading a Netflix series based on the life of early 20th century Black female mogul, Madam C.J. Walker; the inner sanctum (colloquial name for Afronerd Radio friends and affiliates) checked out Mission Impossible: Fallout and we give our impressions; a recent UK Telegraph article reports that a number of prospective university students were rejected from admissions due to the growing concerns of an overuse of Google versus actual intelligence and memory retention; more on the Movie Pass fiasco and will the company survive? ; Franklin, Charles Schulz' first Black character from his endearing Peanuts comic strip turns 50; And lastly, Facebook uncovers what appears to be another possibly Russian coordinated media misinformation campaign as US voters head toward mid term elections. Call in LIVE at 646-915-9620.